Lisa and Ciaran Power; Comeragh Cycling Club is taking on a big one today to raise funds for Lisa’s treatment. 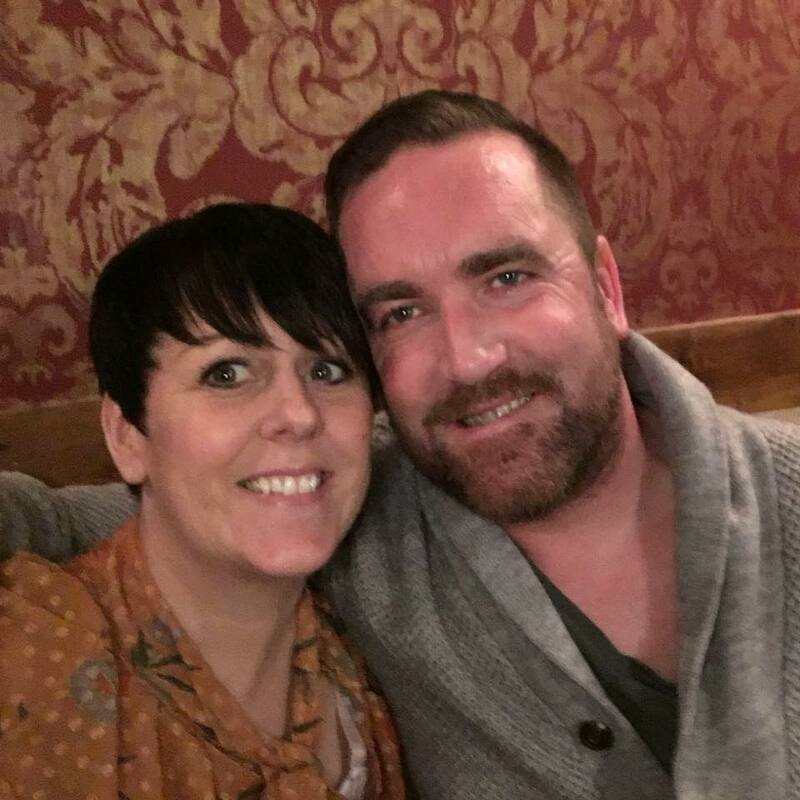 Readers of stickybottle will have seen some of our coverage on Lisa and Ciaran Power in recent months; their family now in the middle of a battle. Lisa is undergoing treatment again for cancer. And the Irish cycling community has been very supportive in helping the family raise funds towards her treatment. Ciaran of course is well known in Irish cycling; a double Rás winner, Olympian and former Grand Tour pro rider. The Powers are a well known and much liked couple in Waterford and on the Irish cycling scene. And it was no surprise people reacted so positively towards them when the awful news emerged that Lisa’s cancer had returned. She’s currently undergoing treatment and the effort around them within the cycling community is also continuing at pace. This weekend that effort is close to home for the Powers; the riders from Comeragh Cycling Club taking on a 260km challenge to raise funds. You can contribute to today’s fundraising effort for Lisa’s treatment by following this link and it would be great to give them some support. 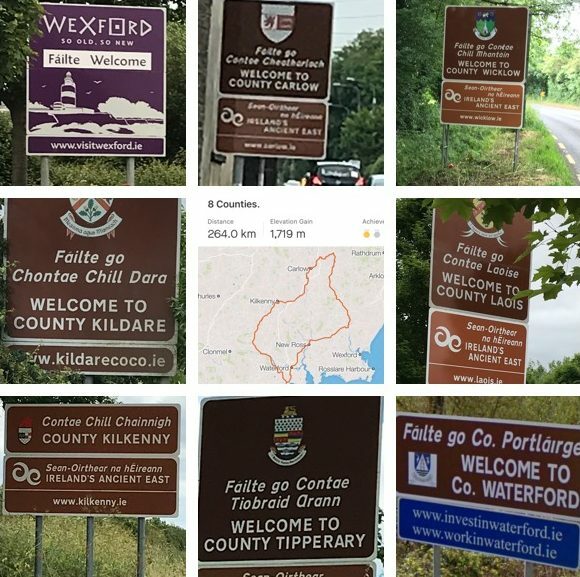 The Comeragh CC group set out from Waterford City this morning, with over 260km awaiting them during their “8 Counties Challenge”. They’ll go through Wexford, Wicklow, Kildare, Carlow, Laois, Kilkenny, Tipperary and Waterford during their ride. “As well as putting in some serious training distances, we’ve also being fundraising in the form of seeking sponsorship in aid of the Lisa Power fund,” the club said. 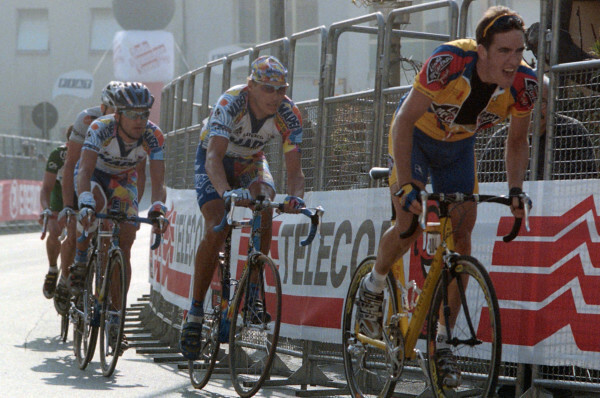 Ciaran Power leads Johan Museeuw and Michele Bartoli into the finish of stage 6 of the Tirreno-Adriatico in 2000 while riding for Linda McCartney. The riders are going through eight counties today. They’ll know they’ve been on their bikes by the time it’s all over! The group headed out this morning, Ciaran Power there to see them off, at 7.30am from Waterford and were headed first to New Ross. From there they were due to ride to Enniscorthy and then Bunclody, Tullow and on towards Baltinglass before turning towards Castledermot. They intended to stop at Toghers restaurant just outside Carlow at about 12.30pm, before heading around Carlow’s ring toad. Then it was on to the Carlow-Kilkenny road and around the ring-road in Kilkenny. From there they were due to head onto the main Kilkenny-Clonmel road and another pit stop at Callan, around 200km into the day. They were then planning to turn towards Carrick-on-Suir at Glenbower before spinning on through Kilmeaden and back through Waterford City. The group will arrive at their final destination at the Community Centre in Kilmackow at about 6.30-7pm on Saturday.